FANTASTIC SPECIFICATION NISSAN X TRAIL DCI IN THE BEST COLOUR OF EBISU BLACK METALLIC WITH SAFARI LIGHTS AND FULL SERVICE HISTORY. NOT TO BE CONFUSED WITH LESSER EXAMPLE FOR SALE IN EXCEPTIONAL CONDITION THROUGHOUT, COMING FULLY COMPLETE WITH A SALES PACKAGE INCLUDING A NEW MOT, FULL SERVICE HISTORY, 12 MONTHS COMPREHENSIVE NATIONWIDE WARRANTY AND 12 MONTHS AA BREAKDOWN COVER. JUST ARRIVED! 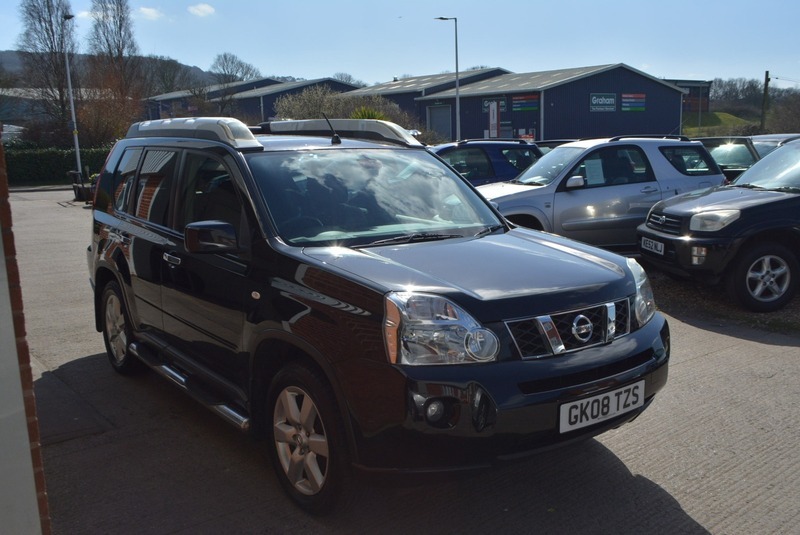 Here we have a stunning NISSAN X TRAIL DCI ARCTIX EXPEDITION SPORTS ADVENTURE 5 DOOR DIESEL 2.0L MANUAL 5 DOOR 4X4 in black metallic with black cloth interior in truly exceptional unrivalled condition throughout. Full service history with 8 stamps, 7 of which at Nissan main dealer, at intervals of 11k, 24k, 39k, 47k, 56k, 64k, 72k & 83k having now covered 89,000 miles. Coming fully equipped with satellite navigation system, electric glass panoramic sunroof, full colour reversing camera, lateral running safari lights, cruise control, climate control air conditioning, electric windows, am/fm stereo with front loading cd player and Bluetooth telephone integration, electric mirrors, key-less entry and two fully remote keys.